Spanish ham is recognised as one of the healthiest, most nourishing items in the Mediterranean diet. As an integral part of a Spaniards diet, they eat on average 100 grams of Spanish ham everyday. In just 100 grams, there are only 200 kilocalories (kcal) and 70 milligrams of cholesterol. It would provide 24% of the recommended daily intake of niacin and 33% of protein. In fact, it contains 50% more protein then fresh meat. But there's more. 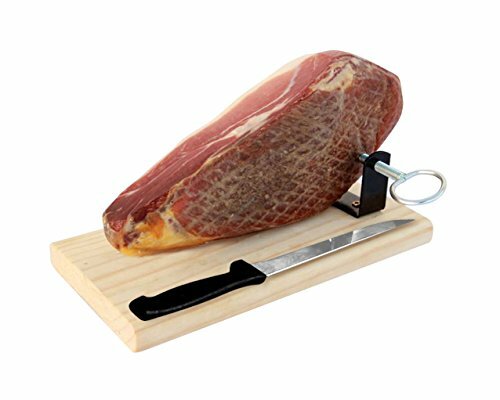 Spanish ham is also high in iron, magnesium, zinc, calcium, phosphorous, vitamins B1 and B2 and that’s just the ham. The fat contains Oleic acid, the same acid found in olive oil. This helps produce good cholesterol known as HDL while reducing bad cholesterol, LDL.